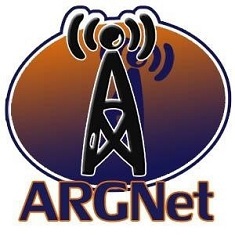 So, remember that strange call we got on the ARGNet voicemail three weeks ago? You know, the one we couldn’t figure out at first? Well, it’s a good thing we figured it out, because it turns out to be a game for the newly-released film Blindness, and after we sent in our snail mail address, we’re happy to have a nifty little bit of game swag in our hands. Included in the package was two pairs of the cheapest sunglasses we’ve ever seen — no frames, even! — along with a card with “i am blind’ and “IAMBL” written in Braille. There was even a self-addressed stamped envelope for a P.O. Box in Toluca Lake, which is interesting only for the fact that it is within walking distance of Universal Studios. One final note about the package is the white-out applied to the Statue of Liberty stamps that adorn the front of the envelope — right across the eyes. Our friends at Despoiler received a package as well, and have a full compliment of photos of their swag pack. Discussion about the game continues at the Unfiction forums and we will be talking about the current state of the game tonight on the ARG Netcast weekly recording.